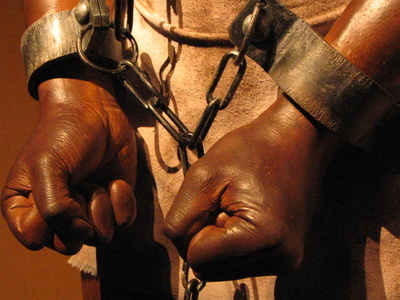 In 1833, slavery was abolished in the British Empire. The person responsible for this immense change in society was William Wilberforce, who fought at times almost singlehandedly over many years to accomplish this feat. He was a committed Christian. Many of his antagonists, those who wanted to keep slavery in place, however, were also Christians. They were very vocal and clear that the Bible supports slavery. After all, the Old Testament gives laws about it, Jesus mentions it without any apparent condemnation, and the apostle Paul discusses it in his letters. Therefore it has to be something God approves of. Both the Old and New Testaments say more about slavery than they do about women in the church. I have never met a Christian who believes that slavery should be reintroduced in society. The reason? We know the character and nature of God. We understand instinctively and through His word that God desires all of His people to be free, no matter what their race or background. The whole tenor of Scripture is towards liberty. Jesus came to bring freedom to the oppressed and to set the captives free. The reason the Bible mentions slavery is because the culture of the day accepted it as normative. It does not imply God’s approval or condoning of it. Why would it be any different with what the Bible says about women? Jesus’ attitude towards women was remarkable. He willingly put Himself in what might have been considered compromising situations in order to minister to them (think of a Jewish man having a conversation with a Samaritan woman of doubtful reputation alone without a chaperone!) We never have any impression from Jesus that the women he worked with were of lesser value or served lesser roles than the men. It instinctively goes against all one knows about God’s character that half of His people would be marginalized. I’d never heard or thought of that and it’s a great point! There were no women – 0 – at the Last Supper, where Christ God instituted the Eucharist. Why is that? I don’t believe there is a complete guest list provided for the Last Supper. Just because someone isn’t mentioned, that doesn’t mean they weren’t there. Another question, why did Jesus appear first after his resurrection to a woman, especially when a woman’s testimony was not valid in a court of law? There was also a group of women that accompanied Jesus much of the time and ministered to him (Mark 15:40-41, Luke 8:1-3). Previous Previous post: What about the verses on women in 1 Timothy 2? Next Next post: A commercial break! !